If you’re in to sport climbing and want to try some tall outdoor walls outside of your home crag, you may be looking to plan the best climbing destination vacation. 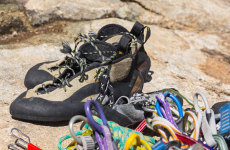 Before going on your climbing vacation, it’s a good idea to check out the guidebook at the area, both online and printed, so that you can get an idea of what areas have the climbs at your level. 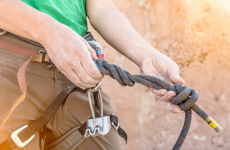 Let’s take a look at some of the top climbing vacation destinations so you can start thinking about how you can prepare for them. 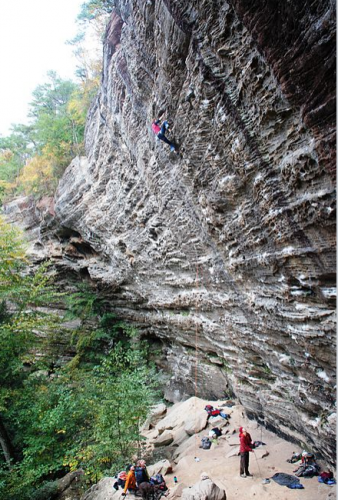 Kentucky’s Red River Gorge is a legendary climbing community full of sandstone cliffs and thousands of sports routes. You can find pro level routes, trad and multi-pitch there as well, but it’s also a great place for beginners. Miguels if you want to meet other climbers from all over, and stay in a large open campground space where everyone socializes. If you want a quiet campground with more private lots there are plenty in the area, as well as motels. The New River Gorge in Southern West Virginia is a popular destination for whitewater rafting as well as rock climbing. 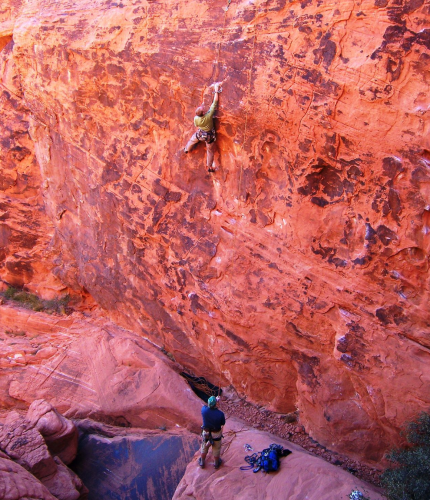 There are thousands of established rock climbs on beautiful sandstone, some over 100 feet tall. There are so many beautiful areas near the New River Gorge for rock climbing such as Meadow River, Summersville Lake, and Gauley River Harbor. There are lots of great campgrounds in the New River Gorge. Most of the campgrounds in the area cater more to rafters than to climbers but the American Alpine Club Campground is where you will find the climbing community. 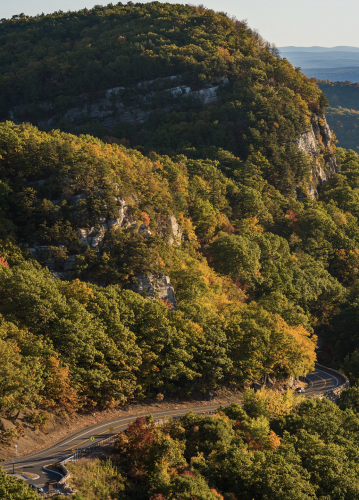 The Shawangunk Mountains are only 90 miles north of New York City and is a popular weekend destination for climbers from all over. The main cliffs of The Trapps are over 300 feet tall at some points. It is a stunning destination with so much to see and do and climb. There are hundreds of routes set up for top-rope anchors, which makes it great if you’re not quite comfortable lead-climbing them. There is also a lot of very easy Trad climbs here, but there are no bolted sport climbs. The guidebook for The Gunks has not been updated in years but it is still a good read for those who aren’t familiar with the area or haven’t climbed there before. Most climbers in the area use the Gunks App for updated route information. The American Alpine Club Gunks Campground is the best place to meet other climbers. There are many campgrounds in the area and hotels as well. Boulder, Colorado is like no other outdoor lifestyle city you’ve seen before. You’re so close to the mountains and you can stay anywhere in the convenience of the big city, as well as climb there, or you can choose to lose yourself in the quietness of the outdoors. If you’re looking to do some classic sports climbs, Boulder Canyon, Eldorado Canyon and the Flatirons (pictured above) have some amazing climbs with great accessibility. There are all sorts of hotels and campgrounds in and around Boulder that cater to the outdoor adventurist. The Boulder Adventure Lodge is a great climbing lodge with lodging, social areas, and easy access to climbings. Las Vegas is such an easy city to get to, and The Red Rock Canyon is one of the most unique and beautiful locations for desert rock climbing. 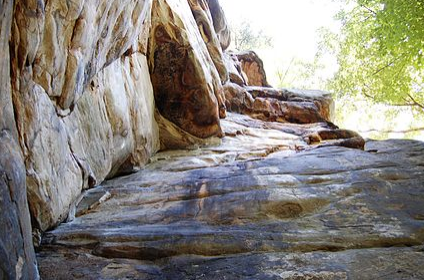 There are numerous pullouts along the scenic drive that lead to many climbing areas to explore. There is lots of great bouldering and trad in the area as well. 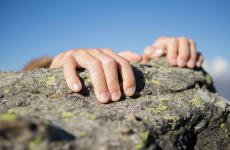 If climbing in the desert heat bothers you, it’s best to plan your days so that you visit the cliffs in the order that the sun will be blocked by shade. There are not a lot of campgrounds to stay at in the Red Rock Canyon and staying overnight is not allowed without a special permit. If you want to stay at the Red Rock Campground it’s best to reserve in advance at http://www.recreation.gov. Luckily you’re only 5 minutes away from the city, so even staying on the Strip is a great option since there are often casino packages that make staying in Vegas quite affordable. 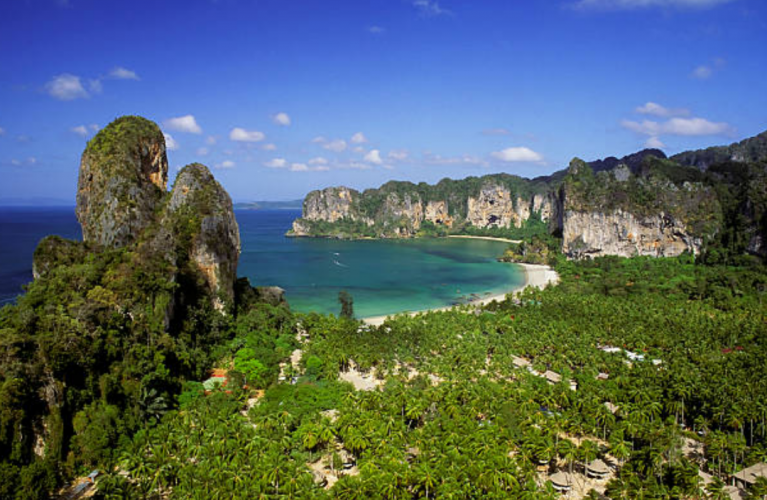 Railay Beach, Thailand is a rock climbers haven. It is quite a journey to get all the way there, but once you are you can kick back and relax, while enjoying world class cliffs within walking distance from where you’re staying. There are boat tours that can take you out to try free soloing over the gorgeous clear sea. 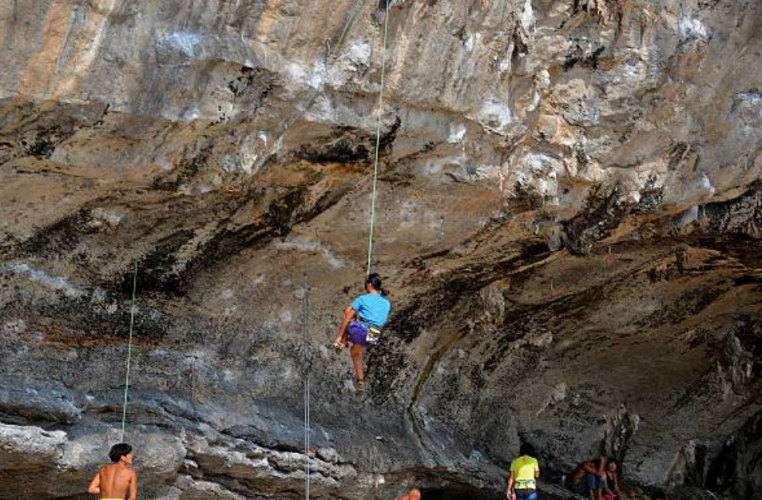 There are some other great sports climbing areas in Thailand such as Chiang Mai that you might want to check out as well if you’re visiting long enough. You can find places to stay in rugged, rough camping spots, or find touristy luxury, whatever your budget affords.